On holiday in rural Spain in Soria - Numancia? : Great ruin complex with the remains of a castle from the Moorish period (9th century) with magnificent views. : The Moorish leader Al manure died here in 1002. The town with medieval houses (half-timbered houses) exudes a special atmosphere. 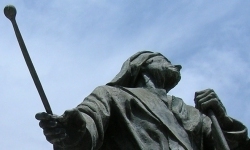 : Small provincial capital at the Rio Duero with some special churches. : Town east of the river Ucero with a Gothic cathedral (year 1232) with a Baroque tower. : The place where Numantia was destroyed by the Romans in the year 133 BC. Soon Soria webcam, blogs, travelreports, spanish recipes and movie locations. 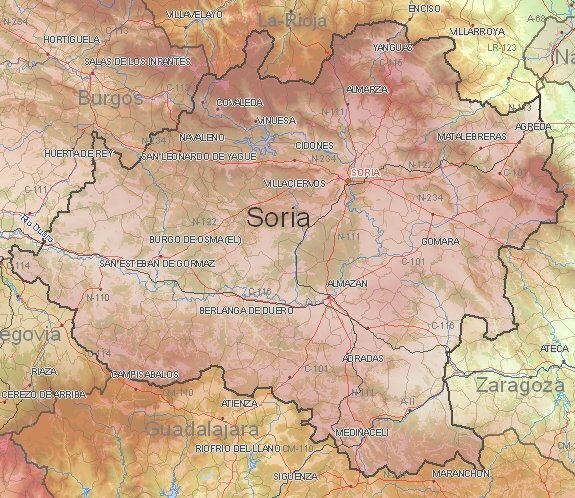 1) Current weather in Soria (temperature, precipitation).